With the recent issues with strawberries in Australia, farmers have found it tough to sell their strawberries with the major supermarkets not purchasing what they normally would. Luckily many locals to strawberry growing areas displayed their support for the farmers and lined up at farm gates to purchase what they could and reduce the amount going to waste. I decided it was time to try a country wine – specifically a Strawberry wine and after hunting around for recipes I decided on this one from WineMaker Magazine. 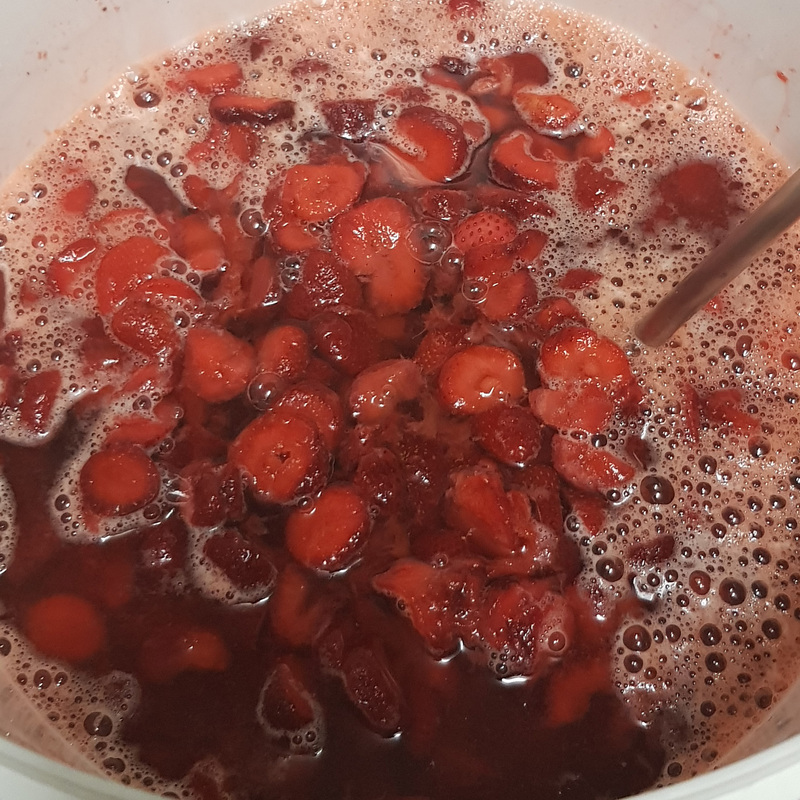 It’s now fermenting away and hopefully we’ll be sipping on a nice Strawberry wine at Christmas time!